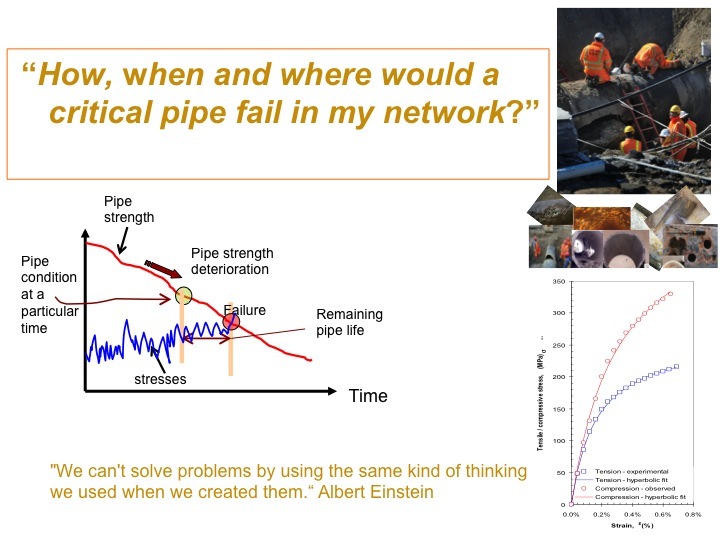 How, when and where will critical pipes fail within the entire network? (2) Development of practical concepts for monitoring of new pipelines using optical fibres and other sensors. Use of optical fibres to monitor the performance of new pipelines.